Lifeproof makes the frē for the iPhone 5C, too! Yes, I am reviewing another Lifeproof product. I have just finished reviewing the frē for iPhone 5S, and now they have got one for the iPhone 5C. 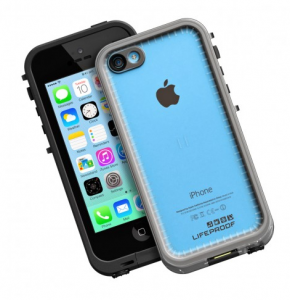 Just like other Lifeproof products, it protects for the big four. The first is the drop at 6.6 feet, and second, the water fully submersible, also at 6.6 feet. Then there is the dirt and dust. Oh, I also forgot to talk about the protection of snow and ice. The screen protector is pretty thin for the front. The big change in this frē is that the back is pretty transparent. This means that the color, which was the big selling point of the iPhone 5C, can shine through. All this can be yours for a price of $79.99, which you can find here.